Morton Bartlett was born in Chicago and orphaned at eight, and was adopted soon after by a wealthy couple in Cohasset, MA. He attended Phillips Exeter Academy and studied at Harvard University from 1928 to 1930 where he developed an interest in making plaster sculptures for his own pleasure. He served in the US Army, and after World War II became a freelance graphic designer and photographer. 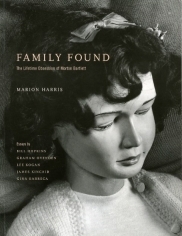 As a self-taught artist he created his 15 lifelike dolls between 1936 and 1963. Each one took him over a year to complete, working from anatomical and costume books. He expertly stitched and knitted their clothes and then photographed them. 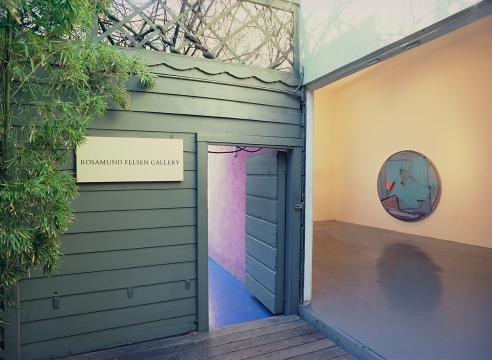 The new color prints exhibited at Rosamund Felsen Gallery were made from a cache of color slides from 1955 that were recently discovered by Los Angeles collector, Barry Sloane. These color prints were made in 2006, printed by Chip Leavitt of Lumiere Editions, Los Angeles. Printed from the original Kodachrome slide transparencies, they were printed on Kodak Ultra Endura Chromogenic paper in an edition of ten with two printer’s proofs. They have been exhibited at the Julie Saul Gallery, NY; Los Angeles County Museum of Art; Hamburger Bahnhof, Museum für Gegenwart, Berlin; Galerie Susanne Zander, Cologne; David Zwirner, NY; Hayward Gallery, London; Italian Pavilion, Venice Biennale; Centre Pompidou, Paris. Morton Bartlett died in Boston in 1992.